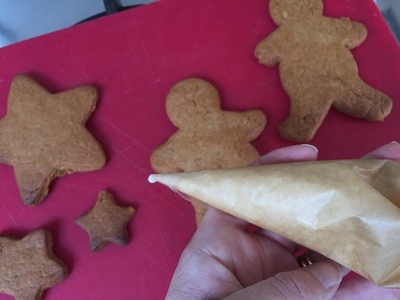 Cut out a triangle of greaseproof paper. You'll find it's easier to make if the triangle isn't too small. 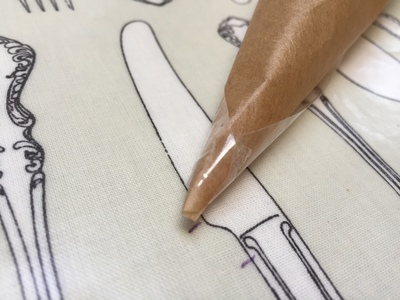 Grab two ends of the triangle and give a twist to create a cone with a point. 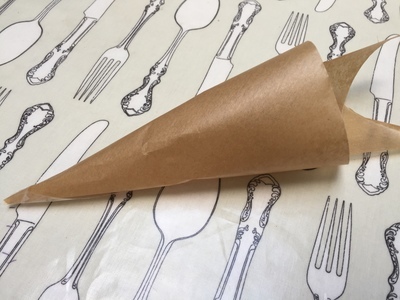 Use a little tape to secure the paper in it's cone shape. Snip the end of the cone, I wanted to pipe a fine design so took off a very small amount. A larger cut further up will make a larger piping. 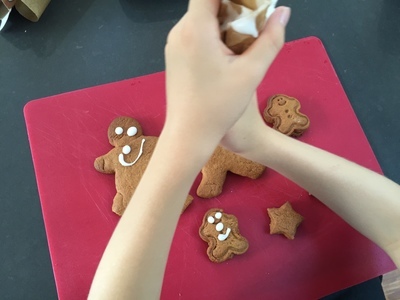 Fill the bag with icing from the large opened of the piping bag and away you go. It's child's play with my 6 year old quickly picking it up to decorate gingerbread men.